This entry was posted on February 19, 2015 by Van Rental. 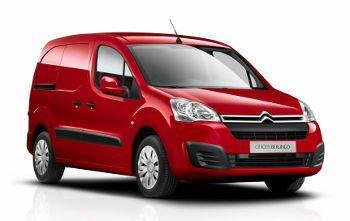 Citroën has updated its popular Berlingo small van model for 2015. The new van will be unveiled to the press at the Geneva Motor Show in March 2015, and will include an updated front end, new safety assist systems and an updated in-car touchscreen-based infotainment system. There’s also an updated range of BlueHDi engines, which use AdBlue to meet the Euro 6 emissions standard. Finally, the new Berlingo range will also include an updated all-electric Berlingo model. Active City Brake: an automatic braking system designed to prevent collisions at speeds of up to 30kph (19mph). Reversing camera: as an option, the new Berlingo can be equipped with a reversing camera for easier day-to-day parking. When the driver puts the vehicle into reverse, the image from the camera will be displayed on the new 7-inch dashboard touchscreen. I’ve had a good rant about the failings of Euro 5 and the loophole-ridden lack of Euro 6 adoption recently, but Euro 6 will be compulsory for vans from September 2015, so van operators won’t be able to avoid the minor cost and hassle of AdBlue for much longer. The new Berlingo will be powered by a range of Euro 6 engines, badged as BlueHDi models. 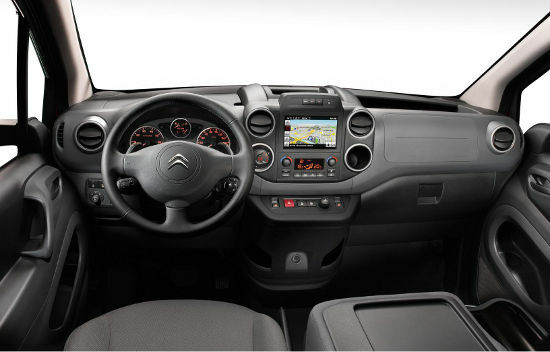 The 17-litre AdBlue tank will be located in the back of the vehicle and will contain, according to Citroën, enough AdBlue for 20,000km — so I guess many van operators will get it topped up alongside each oil change. The electric Berlingo, of course, has zero tailpipe emissions. It also boasts a range of 170km between charged and offers a power output of 67bhp along with “virtually constant torque” of 200Nm, making it a seriously nippy beast at urban and suburban speeds. Maximum speed is 110kph, so it’s not a motorway muncher, but as I’ve often written before, urban delivery vans, are, in my view, currently the killer app for electric power — easily the best chance yet to bring electric vehicles into the mainstream and prove their worth. Mobile workers increasingly do everything through their smartphones. Improved navigation: the driver can view maps in perspective, display speed limits, take account of traffic conditions & select the most fuel-efficient route. Media function: includes radio, audio streaming and connections to portable devices. Hands-free telephone function: Bluetooth, hands-free dialling and double call management. The Berlingo has sold 2.9 million units since its introduction in 1996 — and I can’t see anything here that will derail its deserved popularity. More of the same is often a winning formula.